Even though the holidays are months away, it’s never too early to think about what kind of cards you would like to send out. If you are planning on making your own cards, you want them to be quick and easy to recreate. 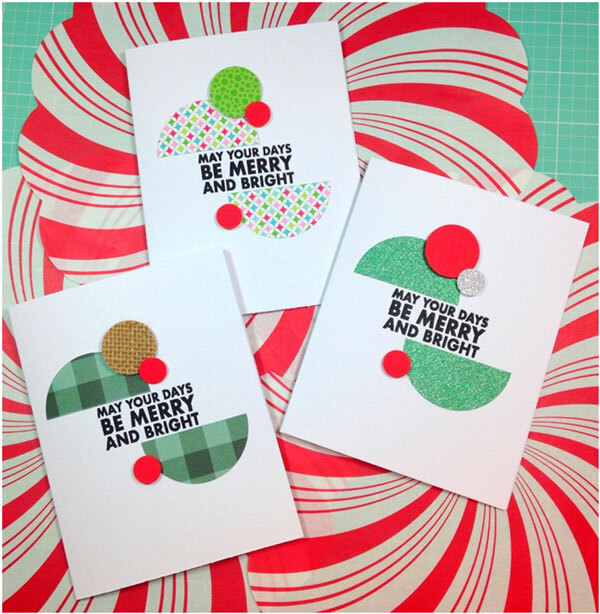 My project today uses only paper punches and your favorite paper for a modern and fun twist on the traditional Christmas card. This entry was posted in Cardmaking, Christmas, Crafts, Paper Crafts and tagged Christmas cards, Christmas in July, Rubber Stamping, stamps on July 12, 2018 by Heidi.